In Adam and Eve, mankind was given the directive to subdue the earth.“ ‘God blessed them [Adam and Eve] and said to them, ‘Be fruitful and increase in number; fill the earth and subdue it. Rule over the fish of the sea and the birds of the air and over every living creature that moves on the ground’ ” (Gen. 1:28). Implied in that directive, and expanded upon later in Genesis and the Law of Moses, is mankind’s responsibility to steward the world in a godly way. That actually started in Eden itself, because God’s instructions about the garden were “…to work it and take care of it” (Gen. 2:15). Whereas the Church Epistles are specifically addressed to the Church of the Body which started on the Day of Pentecost, the book of Revelation speaks of events which will occur on earth after the Church is taken up. Jesus Christ will be dealing with his Church, but his Church will be Jews and Gentiles, not the “one new man” that is the subject of Ephesians 2:15.3 Revelation shows that Christ is active and still building his Church. In Chapter 1, he is dispensing revelation to angels to take to believers. In Chapters 2 and 3, Christ is authoring letters to assemblies in different towns, strengthening, encouraging, and warning them. Chapter 5 shows Christ taking the scroll from God’s hand and preparing to open it and begin the time of “Jacob’s trouble” (Jer. 30:7), also called the Tribulation. Starting with Chapter 6, there is a series of judgments. There are seal judgments, trumpet judgments, and bowl judgments. During this time, there is tribulation and then wrath on the earth. Interwoven into the record of this terrible time is information about the believers of the time and those who oppose them, particularly the man known as the Antichrist. Revelation 19 portrays the Battle of Armageddon in which Christ rides down from heaven followed by his armies. After defeating his enemies and reclaiming the earth for God and His people, he raises the righteous dead who come to life and live in his kingdom for a thousand years. During this thousand years, the Devil is chained and powerless, but at the end of the thousand years he is released and manages to stir up a revolution against Christ’s kingdom. This revolt is ended by fire from heaven, which puts a quick end to the enemies of the Lord.4 At that point God “…will judge the world with justice by the man He has appointed…” (Acts 17:31). All the dead who were not previously raised, either in the Rapture or the first resurrection, are raised and stand before Christ. He had said in John 5:22 that the Father entrusted all judgment to the Son, and this is the Final Judgment. Each and every person will get what he deserves. He had spoken this clearly while he was still with us on earth: “For the Son of Man is going to come in his Father’s glory with his angels, and then he will reward each person according to what he has done” (Matt. 16:27). As the Judge, Christ will have the final word on who will live eternally and who will be condemned to die. After destroying all unrighteous people, Christ will reign with God, his Father, even as Revelation 21 describes [to understand the judgments and resurrections, discussed in this paragraph, we highly recommend our class: “THE END TIMES”]. (3) He threw him into the Abyss, and locked and sealed it over him, to keep him from deceiving the nations anymore until the thousand years were ended After that, he must be set free for a short time. 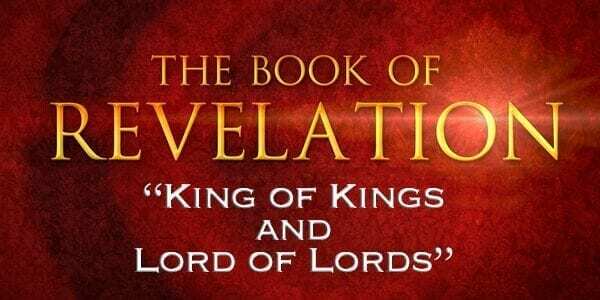 When the exalted Lord Jesus has fulfilled all the prophecies about his second coming to the earth, including the judgment of all men and the restoration of Paradise, his relationship with God will change one last time. This truth is vividly illustrated in 1 Corinthians 15:24–28. It is a section of Scripture that we believe clearly portrays the changing nature of the relationship between God and His Son, as well as the clear distinction between the two. (25) For He (Christ) must reign until He (Christ) has put all His (Christ’s) enemies under His (Christ’s) feet. (27) For HE (Christ) HAS PUT ALL THINGS IN SUBJECTION under HIS (Christ’s) FEET. But when He (Christ) says, “All things are put in subjection,” it is evident that He (God) is excepted who put all things in subjection to Him (Christ). No one can give away anything he does not have. Who had the authority over the world? The First Adam had it (Gen. 1:28), and when he disobeyed God’s commandment in the Garden of Eden, he relinquished it to Satan. Guess what? That also answers the second question as to when this present evil age began. It began when the First Adam lost his original dominion to Satan. This present evil age will end when the Last Adam takes back that dominion by force. In the meantime, each Christian has both the choice and the ability not to conform to this “age,” but to be transformed by the renewing of his mind so as to prove the will of God in his life (Rom. 12:2). Satan lied to mankind then, and he is still promoting the same lie today, a lie that is also at the root of the doctrine of evolution. “You shall be as gods” is the bottom line of New Age philosophy, which propounds that it will be this new race of “god-men” who will usher in a “new age,” the “Age of Aquarius”—an age of peace, prosperity, one-world government and everyone living happily ever after. Throughout history, a number of tyrants have attempted to produce this new race according to their own timetable. Perhaps Adolf Hitler is the most well known, but true Communists like Joseph Stalin and Mao Tse Tung also had as their goal a “regenerate” mankind—a new race living in peace on the earth with no “religion” but atheistic, humanistic materialism. Such tyrants were not above genocide and genetic manipulation to help speed up man’s “evolutionary destiny” to produce a “master race.” As we have seen, there is going to be a master race, but it is only THE MASTER who will ever produce it. There is going to be a NEW AGE of true peace and prosperity, and it will have a one-world government—headed up by JESUS CHRIST THE KING! The Church Epistles are the apex of God’s revelation to mankind, setting forth the “all truth” of God’s curriculum for those who believe in the Lord Jesus Christ [We have a class setting forth this “all truth,” “One Day With The Creator,” where you will see God’s curriculum for you, and all of mankind]. Each and every Epistle begins with a greeting from “God the Father and the Lord Jesus Christ,” and they illustrate the oneness of God and His Son. As with the gift of holy spirit, which Jesus Christ received from his Father and first poured out to mankind on the Day of Pentecost, so Jesus received the revelation of the Church Epistles and gave it to the apostle Paul (Gal. 1:11 and 12). The Church Epistles are “the word of Christ” (Rom. 10:17), as he received it from his heavenly Father. 1. We think most Christians have some understanding of this fact. For example, the Bible says in the Old Testament that to be in the covenant, a male must be circumcised. We today know that that does not apply to Christians. The Bible makes a distinction between that which is addressed to us and that which is just for our learning (Rom. 15:4–KJV). We today do not have a Temple in Jerusalem or animal sacrifices or require lepers to say “Unclean” when they walk along the street (Lev. 13:45). 2. E. W. Bullinger, Commentary on Revelation (Kregel Publications, Grand Rapids, 1984), p. 3. Bullinger’s 700 page book is a masterpiece of accurate exposition. He knows the language and the customs involved, and shows clearly that the Church of the Body is not involved in the wrath of God and of the Lamb that is poured out in Revelation. 3. Many people are confused by the word “Church.” It is from the Greek word ekklesia, which simply means “assembly” or “gathering.” It is the context that determines what kind of assembly is being spoken of. When the Church Epistles speak of the “Church,” the word refers to saved Christians. In Acts 7:38, Moses was with the “assembly” in the wilderness (the KJV actually has “church”) though that assembly was the Jews with Moses. In Acts 19, a mob assembles in Ephesus, and that “assembly” was pagan Gentiles. Most of the time, the reader of the English Bible never sees the flexibility in the word ekklesia because the translators translate it according to context. Nevertheless, the point should be clear: when Revelation addresses “the church at Ephesus,” or “the church at Sardis,” it can be the same as Acts 7:38, where the “church” is a Jewish assembly, and the internal evidence of the letters themselves shows that is the case. 4. Many people are confused about the Battle of Armageddon and this final war. The Battle of Armageddon is the battle before the 1000 year reign of Christ (Rev. 19), and the war that ends with fire from heaven occurs after the 1000 year reign of Christ (Rev. 20:7–9). Thus, Armageddon is not “the final battle” as so many teach. 5. For a biblical exposition of “the Holy Spirit,” see our book: op. cit., The Gift of Holy Spirit, The Power To Be Like Christand Appendix I. 6. R. J. Z. Werblowski and Geoffrey Wigoder, The Encyclopedia of the Jewish Religion citing Ned. 72B; Kid 41B (Adama Books, New York, 1986). See also Appendix D.
7. See Chapter 5 (Dan. 2:44).